بكلوريوس في الهندسة الكهربائية، من جامعة بغداد 1987. (الرتبة الثالثة من 163 طالب في القسم) ماجستير. في نظام السيطرة الآلي(الميكانيك الكهربائي)، من جامعة سانت بطرسبورغ التقنية الحكومية 2000. دكتوراه تقنيات كهربائية معقدة و أنظمة، من جامعة سانت بطرسبورغ التقنية الحكومية / روسيا الاتحادية 2004. 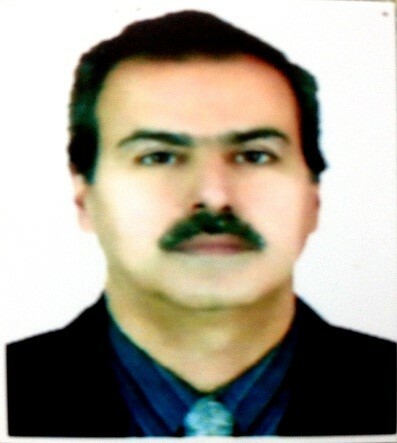 رئيس قسم الهندسة الكهربائية \ جامعة الكوفة منذ 2007. اهتمامات البحث: 1 - سيطرة المحركات التوصيلية النبضية (SRM ) 2 - سيطرة منطق ضبابية 3 – المسيطر المنطقي المبرمج 4 - مرشح Kalman 5 – الموصلات فائقة التوصيل 6 - طاقة متجدّدة الاهتمامات التعليمية: 1 – مكائن تيار مستمر 2 - مكائن تيار متناوب 3 - نظام سيطرة 4 - نظرية مكائن المساهمات والمنشورات العلمية: 1-	Switched reluctance motor operation// conference of, Saint Petersburg State Polytechnical University 2002. 2-	Dynamic model of switched reluctance motor // conference of, Saint Petersburg State Polytechnical University 2002. 3-	Torque control of switched reluctance motor// Journal Ministry of sciences and technology 2006. 4-	Fuzzy system for torque control in switched reluctance motor // Journal Ministry of sciences and technology 2006. 5- Improvement Torque Ripple of Switched Reluctance Motor Enhance Decay Time and Dwell Angle// International Journal of Engineering & Computer Science IJECS-IJENS Vol:13 No:03, 2013. 6-	Design And Implementation Electrical Wheel Chair For Disable Able To Stairs Climbing By Using Hydraulic Jack// IOSR Journal of Electrical and Electronics Engineering (IOSR-JEEE) e-ISSN: 2278-1676,p-ISSN: 2320-3331, Volume 7, Issue 3 (Sep. - Oct. 2013), PP 82-92. 7-	Design and Implementation A Home Cnc Open Control System// International Journal of Computational Engineering Research, Vol, 03, Issue, 10, 2013. 8-	D.C Motor Design And characteristics Using Matlab//Journal of Engineering and development, vol.18, no. 3, May 2014, ISSN 1813-7822, pp. 197-206. 9-	Design and Implementation of an Effective Electrical Power System for Nano-Satellite// International Journal of Scientific & Engineering Research, Volume 5, Issue 5, May-2014 ISSN 2229-5518, pp.29-35. 10-	Direct Fuzzy Logic Controller for Nano-Satellite// Journal of Control Engineering and Technology)JCET)// Vol. 4 Iss. 3 July 2014 PP. 210-219. 11-	Attitude Determination and Control System design of KufaSat//International Journal of Current Engineering and Technology//E-ISSN: 2277 - 4106, P- ISSN: 2347 – 5161//Vol.4, No. 4 (Aug 2014), pp.2910-2920. 12-	ARTIFICIAL INTELLIGENCE BASED IRAQI LICENSE PLATE RECOGNITION SYSTEM//International Journal of Multidisciplinary Research and Modern Education (IJMRME)// ISSN (Online): 2454 – 6119//(www.rdmodernresearch.org) Volume II, Issue I, 2016, pp. 461-467. 13- PIDF Auto Tuning Control System (AVR) In Power System Stability Analysis// IOSR Journal of Computer Engineering (IOSR-JCE)//e-ISSN: 2278-0661, p-ISSN: 2278-8727// Volume 18, Issue 3, Ver. III (May-Jun. 2016), PP 33-37 (www.iosrjournals.org).